It’s an APA for the APA. 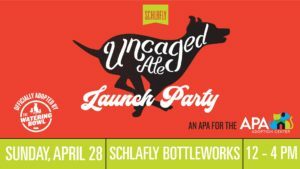 Join us, and The Watering Bowl at Schlafly Bottleworks on Sunday, April 28 from noon – 4 pm for Schlafly Beer’s Uncaged Ale Launch Party. Schlafly introduced Uncaged Ale last winter and it’s been so successful, that they’ve decided to put it in 16-ounce cans. Schlafly will be barbecuing up some brats and hot dogs to enjoy as live, local music plays on the parking lot. From noon – 3 pm, some of our adoptable dogs that are looking for their forever homes will be hanging out on the lot, as you sip on pints of your Schlafly favorites including Uncaged Ale. 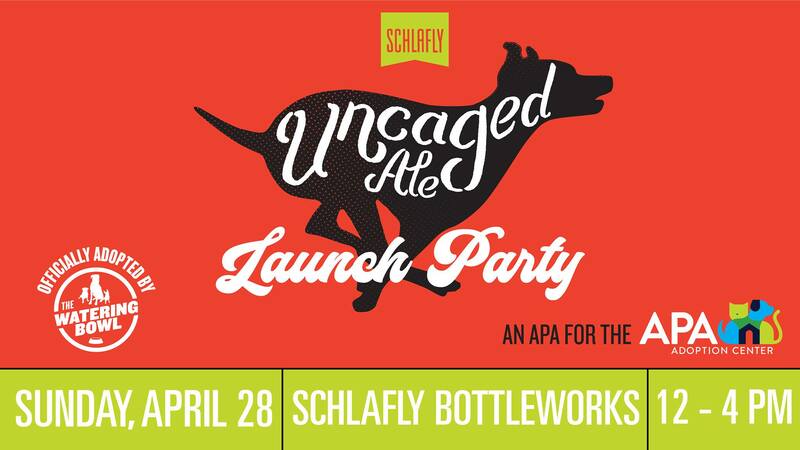 The Crafted Bone will also be there, selling special dog treats made with Uncaged Ale, so bring the pups and come on down to Schlafly Bottleworks.